Make your next event a knock out! You're crowd is thirsting for drinks; make it easy! 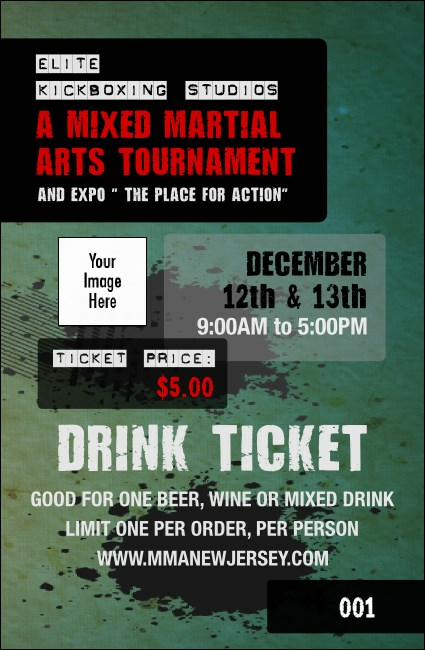 Manage your concessions with ease with the Contemporary Mixed Martial Arts Drink Ticket. This clean design features room for your own text and images. Securely numbered, this ticket helps you track and manage your concession sales. At TicketPrinting.com, you don't have to fight to find the right design!